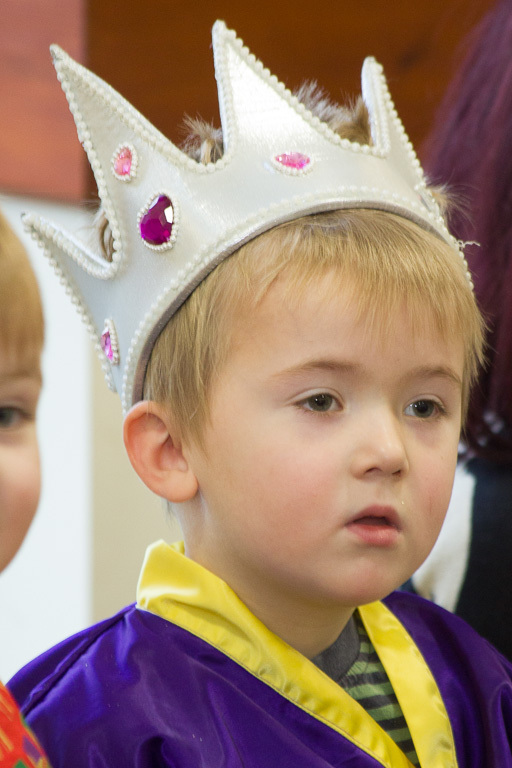 Duncan graduated from cow to king this week at his playgroup nativity play. Once again, he looked rather like he was slightly bemused by the whole affair but joined in with all the singing and actions and did rather seem to like his outfit! Then there was Emma’s Christmas lunch, both children had Christmas parties at playgroup and school respectively, and then there was the school carol concert. We’ll all be looking forward to a break come the end of term! This entry was posted on Thursday, December 19th, 2013 at 10:32 pm	and is filed under Family. You can follow any responses to this entry through the RSS 2.0 feed. Both comments and pings are currently closed.